How Can I view the licensing Information for a Font? Second, after adding a font to your cart - under Billing Information at the botton there is a link that included all EULAs within your cart. 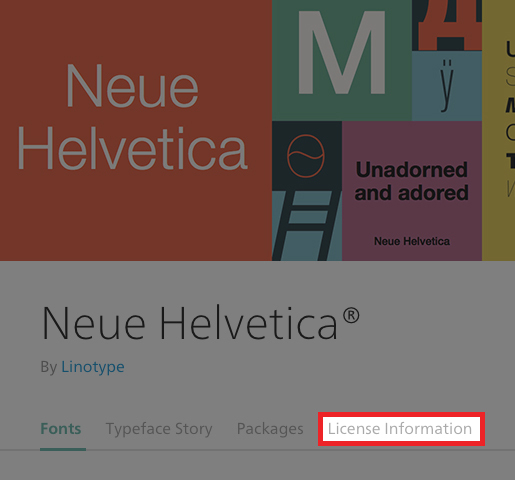 If you’ve already purchased the typeface, the licensing information will also be contained in the downloaded file.